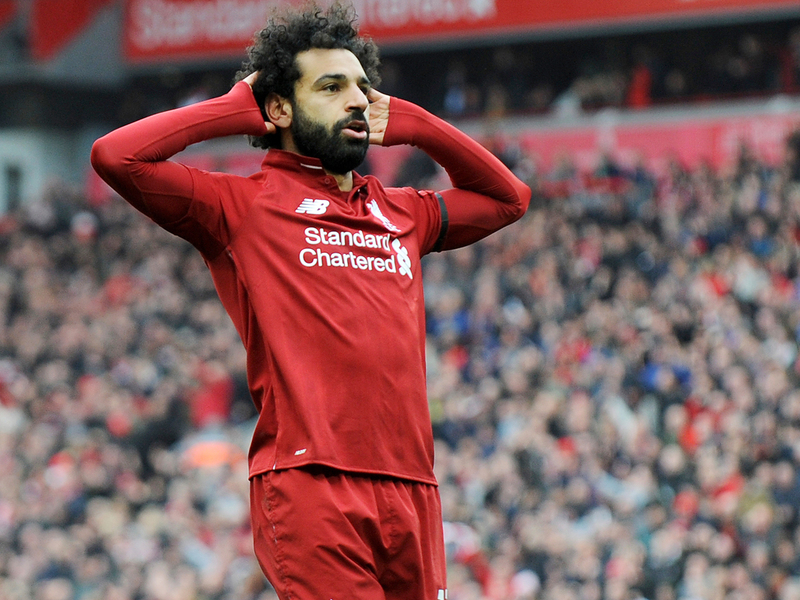 Dubai: After a strike that was a contender for goal of the season — any season, come to that — in the 2-0 win over Chelsea that took Liverpool back to the top of the Premier League. Mohammad Salah took a moment to illustrate his stance against the haters who have used abhorrent offensive chants against him. And what a stance it was. As he was mobbed by a sea of red players and Anfield erupted in jubilation after his delicious rocket of a shot hit the back of Kepa Arrizabalaga’s net, the Egyptian Muslim struck a unique pose in his individual celebration. He stood on one leg, his left foot placed against his right knee, leg pointing outward, crooked at the knee, and put his hands together in prayer in front of the Kop. It looked like a yoga pose, a moment of Zen-like calm. A moment of serenity amid a cacophony of bedlam. It was the perfect riposte to the discriminatory abuse directed at him by a small number of Chelsea supporters in midweek which the club had condemned and which Jurgen Klopp had called “disgusting”. Taking possession on the right, Salah cut inside and glided away from Emerson before unleashing a sumptuous 25-yard drive that arrowed past Arrizabalaga into the far corner. It was a sweet moment of vindication for the Egypt forward after a group of Chelsea ‘fans’ were filmed chanting “Salah is a bomber” before their team’s Europa League tie at Slavia Prague on Thursday. If the goal was not enough to shut up the bigots, his illustration of peace during a time when racism is all too prevalent at football stadiums around the world, was something to admire and applaud in equal measure. It was worthy or winning any game but the celebration is a worthy symbol of peace against a wall of hatred.